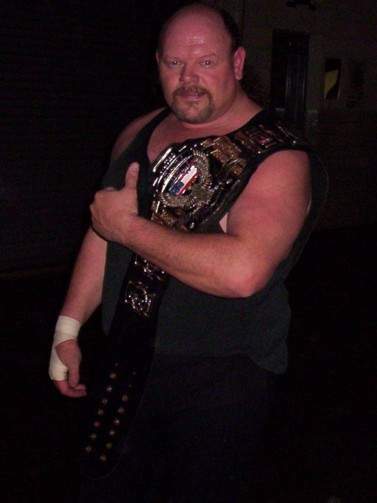 June 2, 1990: Tony Anthony & Tom Burton defeated Rex King in a handicap match for the USWA Tag Team titles..
April 4, 1992–Smokey Mountain Wrestling: Dirty White Boy defeated Joey Maggs..
April 11, 1992–Smokey Mountain Wrestling: Dirty White Boy defeated Paul Miller..
April 23, 1992–SMW: Dirty White Boy defeated Ben Jordan | Brian Lee defeated Dirty White Boy..
May 16, 1992–SMW: “Primetime” Brian Lee defeated Dirty White Boy..
May 22, 1992–Volunteer Slam I: Dirty White Boy defeated Dixie Dynomite | Brian Lee defeated Dirty White Boy..
May 25, 1992–SMW: Dirty White Boy defeated Tommy Angel | Dirty White Boy defeated Brian Lee by DQ..
June 4, 1992–SMW: Brian Lee defeated Dirty White Boy..
June 5, 1992–SMW: Dirty White Boy defeated Joey Maggs..
June 6, 1992–SMW: Brian Lee defeated Dirty White Boy..
June 7, 1992–SMW: Brian Lee defeated Dirty White Boy by Disqualification..
June 8, 1992–SMW: Brian Lee defeated Dirty White Boy..
June 13, 1992–SMW: Brian Lee defeated Dirty White Boy by Disqualification..
June 15, 1992–SMW: Dirty White Boy & Paul Orndorff defeated Bart & Brad Batten..
June 19, 1992–SMW: Brian Lee defeated Dirty White Boy by Disqualification. 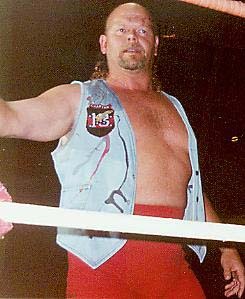 June 20, 1992–SMW: Dirty White Boy defeated Dixie Dynomite..
June 21, 1992–SMW: Dirty White Boy defeated Dixie Dynomite..
July 2, 1992–SMW: Brian Lee defeated Dirty White Boy..
July 4, 1992–SMW: Dirty White Boy defeated Tim Horner..
July 10, 1992–SMW: Brian Lee defeated Dirty White Boy..
July 11, 1992–SMW: Tim Horner defeated Dirty White Boy..
July 12, 1992–SMW: Brian Lee defeated Dirty White Boy..
July 17, 1992–SMW: Ron Garvin & Brian Lee defeated Paul Orndorff & Dirty White Boy..
July 18, 1992–SMW: Ron Garvin & Brian Lee defeated Paul Orndorff & Dirty White Boy..
July 19, 1992–SMW: Ron Garvin & Brian Lee defeated Paul Orndorff & Dirty White Boy..
August 5, 1992–SMW: Brian Lee defeated Dirty White Boy..
August 6, 1992–SMW: Brian Lee defeated Dirty White Boy..
August 7, 1992–SMW: Brian Lee defeated Dirty White Boy..
August 8, 1992–Fire on the Mountain: Dirty White Boy defeated Brian Lee to win the Smokey Mountain title..
August 9, 1992–SMW: Dirty White Boy beat Brian Lee..
August 12, 1992–SMW: Dirty White Boy defeated Danny Davis..
August 19, 1992–SMW: Dirty White Boy defeated Dixie Dynomite (Scott Armstrong)..
August 21, 1992–SMW: Dirty White Boy defeated Brian Lee..
October 2, 1992–SMW: Dirty White Boy defeated Tim Horner by Disqualification..
October 8, 1992–SMW: Tim Horner defeated Dirty White Boy by Disqualification..
October 9, 1992–SMW: Tim Horner defeated Dirty White Boy by Disqualification..
October 17, 1992–SMW: Dirty White Boy vs Tim Horner ended in a Double Count Out..
October 24, 1992–SMW: Dirty White Boy vs Tim Horner ended in a Double Count Out..
November 6, 1992–SMW: Tim Horner defeated Dirty White Boy by Disqualification..
November 7, 1992–SMW: Tim Horner defeated Dirty White Boy by Disqualification..
November 8, 1992–SMW: Dirty White Boy vs Tim Horner ended in a Double Disqualification..
November 13, 1992–SMW: Tim Horner beat Dirty White Boy by Disqualification..
November 14, 1992–SMW: Tim Horner defeated Dirty White Boy..
November 20, 1992–SMW: Tim Horner defeated Dirty White Boy by Disqualification..
November 21, 1992–SMW: Tim Horner defeated Dirty White Boy by Disqualification..
November 23, 1992–SMW: Ron Garvin beat Dirty White Boy by DQ | Dirty White Boy beat Tim Horner | DWB beat Paul Lee..
November 26, 1992–SMW: Dirty White Boy defeated Tim Horner in a Lumberjack Match..
November 28, 1992–SMW: The Dirty White Boy defeated Tim Horner lumberjack match..
November 29, 1992–Thanksgiving Thunder: Dirty White Boy defeated Tim Horner in a Lumberjack match to retain the SMW title..
December 4, 1992–SMW: Dirty White Boy vs Tracy Smothers ended in a No Contest..
December 12, 1992–SMW: Dirty White Boy & Paul Orndorff defeated Tim Horner & Ron Garvin..
December 25, 1992–SMW: Tim Horner & Ron Garvin defeated Dirty White Boy & Paul Orndorff..
December 26, 1992–SMW: Tim Horner & Ron Garvin defeated Dirty White Boy & Paul Orndorff..
December 27, 1992–SMW: Tim Horner & Ron Garvin defeated Dirty White Boy & Paul Orndorff in 30:45..
April 2, 1993–Bluegrass Brawl I: Tracy Smothers defeated Dirty White Boy in a “Chain” match to win the Smokey Mountain title..
May 9, 1993–Volunteer Slam II: Tracy Smothers beat DWB in a “Coward Waves the Flag” match to retain the SMW title..
May 15, 1993–The Last Tango: Dirty White Boy (w/Don Wright) beat Tracy Smothers (w/Tim Horner)..
~~~This was a “Coward Waves the Flag” match that ended with the belt being held-up after a controversial finish..
June 11, 1993: Tracy Smothers defeated Dirty White Boy in a Tournament final for the Smokey Mountain Heavyweight title..
August 14, 1993–Fire on the Mountain: Dirty White Boy vs The Mongolian Stomper ended in a DOUBLE Disqualification..
August ? 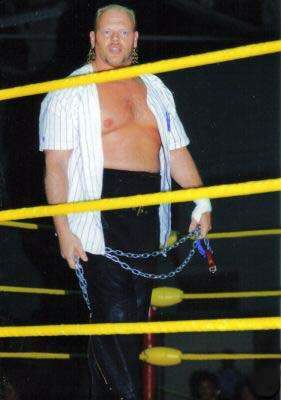 ?, 1993–K-Town Showdown: Bobby Blaze beat Dirty White Boy in a 10:00 challenge when Anthony failed to pin Blaze..
November 26, 1993–Thanksgiving Thunder: Brian Lee defeated Dirty White Boy by Disqualification..
February 13, 1994–Sunday Bloody Sunday: Dirty White Boy defeated Brian Lee in a “Chain” match to win the Smokey Mountain title..
March 10, 1994–Marietta Debut: Dirty White Boy & Dirty White Girl defeated Brian Lee & Tammy Fytch..
April 1, 1994–Blue Grass Brawl II: Dirty White Boy & Dirty White Girl defeated Brian Lee & Tammy Fytch in a “Street Fight”..
May 20, 1994–Volunteer Slam III: Jake Roberts vs Dirty White Boy ended in a Double Count Out (Jake retained the SMW title)..
August 5, 1994–Night of Legends: Dirty White Boy defeated Terry Gordy by Disqualification to retain the Smokey Mountain title..
November 24, 1994–Thanksgiving Thunder: Dirty White Boy & Ron Wright defeated Bruiser Bedlam & Jim Cornette..
April 7, 1995–Bluegrass Brawl III: Dirty White Boy defeated Buddy Landell in a “Chain” match..
May 19, 1995–Volunteer Slam IV: JC Ice & Wolfie D defeated Tracy Smothers & DWB by DQ to retain the USWA Tag Team titles..
August 4, 1995–SuperBowl of Wrestling: Tom Pritchard & Jimmy Del Rey defeated Tracy Smothers & DWB to win the Tag titles..
August 12, 1995–Fire on the Mountain: Ron Wright defeated Dirty White Boy -Dirty White Boy’s dream match-..
~~~Tracy Smothers & Dirty White Boy defeated Al Snow & Unibomb in a “Loser Leaves Town” match -Al Snow’s dream match-..
~~~Tracy Smothers & Dirty White Boy defeated The Heavenly Bodies (Tom Pritchard & Jimmy Del Rey) by DQ (Bodies retain)..
Tony Anthony had a cup of tea with the WWF as Wrestlecrappy gimmick, TL Hopper, a grizzly plumber..
July 10, 2004–Knoxville (Nostalgia Show): Dirty White Boy beat Tracy Smothers (subbing for no-show Jerry Stubbs)..
August 31, 2004–Tennessee Mountain Wrestling: Dirty White Boy defeated Chris Powers in Steel Cage match..
September 19, 2004–Tennessee Mountain Wrestling: Dirty White Boy defeated Chris Powers to keep TMW Heavyweight title..
December 25, 2004–Tennessee Mountain Wrestling: Chris Powers beat Dirty White Boy to win TMW Heavyweight title..
January 1, 2005–Tennessee Mountain Wrestling: Lance Ericson defeated Dirty White Boy..
January 8, 2005–Tennessee Mountain Wrestling: Dirty White Boy & Howie Gibson beat Tom Pitner & Mike Hanson..
January 22, 2005–Tennessee Mountain Wrestling: Dirty White Boy defeated The Grappler..
January 29, 2005–Tennessee Mountain Wrestling: Dirty White Boy defeated Mike Powers..
February 5, 2005–Tennessee Mountain Wrestling: Dirty White Boy vs “Primetime” Brian Lee ended in a Double DQ..
February 12, 2005–Tennessee Mountain Wrestling: Dirty White Boy defeated Brian Lee to keep TMW Heavyweight title..
February 19, 2005–Tennessee Mountain Wrestling: Dirty White Boy beat Tom Pitner when special referee Ron Garvin KO’d Pitner..
March 5, 2005–Tennessee Mountain Wrestling: Dirty White Boy defeated Chris Powers by Disqualification..
March 12, 2005–Tennessee Mountain Wrestling: Dirty White Boy defeated Chris Powers to retain the Heavyweight title..